The other day I felt a twinge in my shoulder. At least, I think it’s my shoulder—it’s that spot between my spine and the curve of my shoulder blade, the area I can barely reach and have never figured out how to stretch. (I usually call it my upper back.) It started hurting, as it does most days, and all I could think about was how I wish I didn’t have to sit all the time. And then I thought, Wow, I’ve spent so much of my life sitting. I sat on the ground playing games as a child. I sat at a desk for 12-plus years of school. I slouched my way through endless lectures at college. I sat down for meals. I sat down to study. And now, as a writer, I sit more than ever. I writhe around in my desk chair for hours trying to find a comfortable position. No matter how I sit, something (somehow) hurts, and no matter how upright I think I am, I’m just not. I see it in photos, and I feel it in my body. My posture is terrible, and it’s taking a toll on my life. Now to be clear: I’ve had bad posture for years. I was regularly told, “Sit up, shoulders back.” But during those years I did nothing because honestly, nothing hurt. It wasn’t until college that I started having back pain, and I thought it was because I carried a heavy bag (which I would later learn was part of it but not all of it). Perhaps the worst part is that I thought it would go away on its own. I sought out minimal help—a few chiropractor sessions, sports massages, and a brief stint at physical therapy—but nothing seemed to help, so I stopped. And because of that, I still have back pain. That’s how I ended up direct messaging Sarah Kostyukovsky, P.T., DPT, OCS, and certified personal trainer for Mom In Balance on Instagram. She gave me incredible advice for fixing my posture, no trendy treatment or back brace required (I had in my head I would need a back brace). So if you, like me, have poor posture or any sort of back pain, Dr. Kostyukovsky has some advice—and it would be smart of us (all of us) to take it. In other words, when our bones are aligned, the right muscles are activated, which allows us to sit up straight. Being in, or “having,” good posture means that we’re maintaining the natural curvatures in our spine and activating the muscles that keep us upright—which, in turn, puts less stress on our bodies. No, it’s not just about pulling your shoulders back. 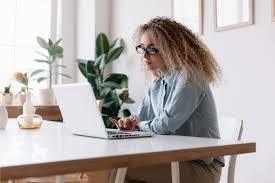 “It’s all about maintaining those curves in your spine—in our neck and upper back and our lower back/lumbar spine.” To do this, she recommends getting a chair that has lumbar support built-in, buying a lumbar support cushion, or simply rolling up a towel and placing it under your lower back while you sit in your chair. Easy enough, right? While there are plenty of reasons to strengthen your core, doing so doesn’t guarantee proper posture. Why? Because if you’re already sitting in poor posture, you aren’t engaging your core anyway. So while core strength is important to our day-to-day lives and functioning, it’s not going to magically cure your posture on its own. Whenever I’ve seen a specialist, from chiropractors to private Pilates instructors, I’ve asked them what I could do at home to improve my posture. To my surprise, I wound up with a lot of non-answers—the kind that make you nod your head when you hear them but make no sense when you try to piece them together later. Fortunately, Dr. Kostyukovsky had real answers and exercises that I could do on my own to improve my posture.